Different types of symbols are displayed over the map depending upon the business being promoted, e.g. hotel, conference etc. 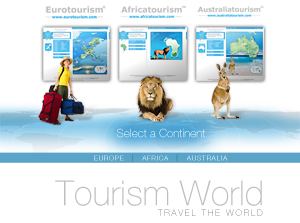 Would you like to have your tourist related business promoted under the symbol relevant to your business - and the symbol linked direct to your website? Of course, you can have more than one symbol to promote all aspects of your business as well, for example; one symbol for hotel, one symbol for conference, and so on. - On a specific country’s start page (e.g. Sweden) plus one language (e.g. English), €990 for 3 months. If you would like more than one symbol to better describe your business (e.g. Hotel + Conference + Golf), we can offer a 30% discount for each additional symbol, providing the additional symbols have the same link address.